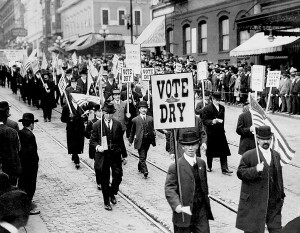 Prohibition left such an ugly scar on the American psyche that few people today can understand the grassroots support that made it the law of the land in 1920. The debate over banning alcohol reached every town in America. Even sleepy Livingston, Montana got swept up in the furor. In 1919, legendary lawyer Clarence Darrow came to make a live anti-Prohibition pitch in the opera house, complete with band (Right). 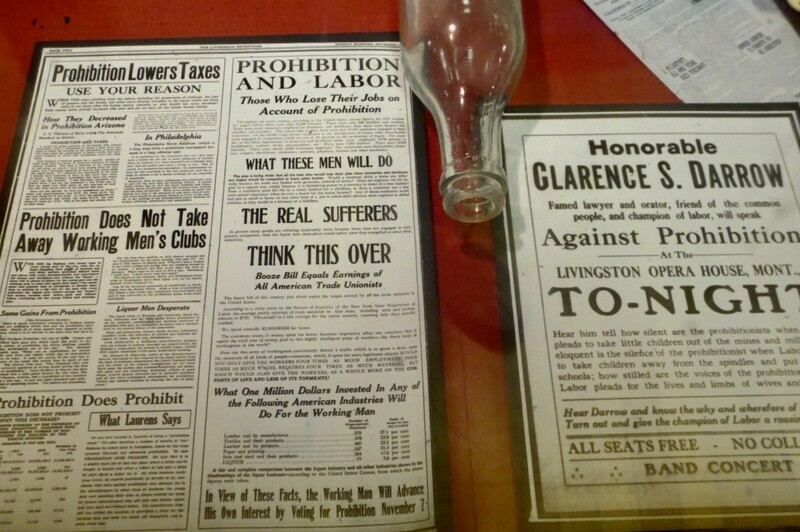 The event was met with a flurry of pro-Temperance handbills (Left). Many giants of early silent cinema reflected the passions on both sides, though only iconic director D. W. Griffith expressed the deep ambivalence of Americans at large. For the past past three years I have been researching the Biograph Co. during this period for my novel, “The Designated Virgin.” The real story of silent movies during the rise of Prohibition makes for a fascinating study. The more I learned, the more my novel took on serio-comic overtones. 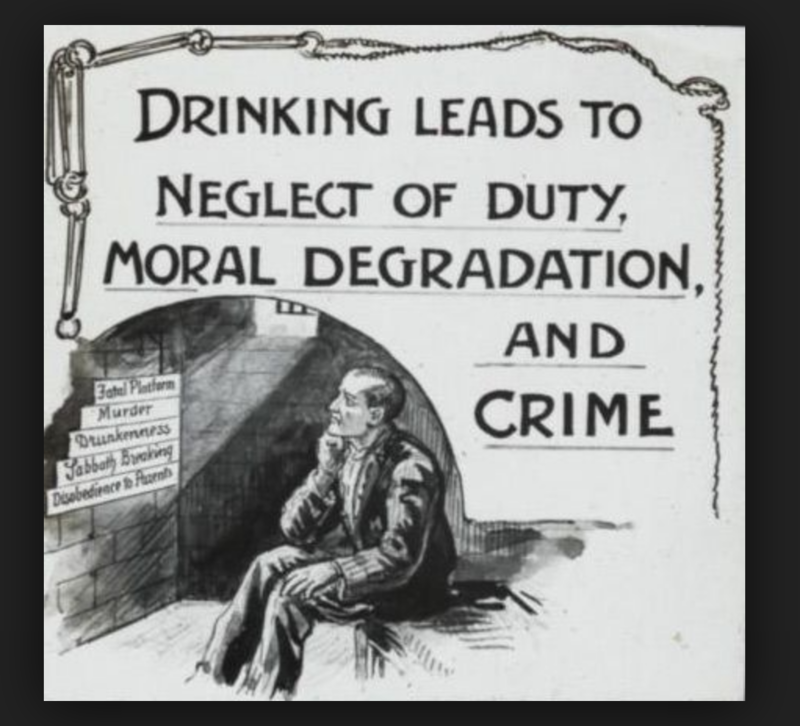 The 18th Amendment and the Volstead Act that gave it some teeth were the culmination of 100 years of America’s grappling with the problem of alcoholism. Life in colonial America can only be understood as a constant struggle between responsible citizenship and drunken abandon. Consider that clean community drinking water was often not available and everyone — even young children — drank fermented ciders and grogs to quench their thirst. Taverns were a key component of all village life, and law officers often compelled husbands to return home where they were needed. Anti-alcohol sermons, novels and stage melodramas presented “the demon rum” as a curse on family life. After the Civil War, beer breweries became a major industry, monopolized by a wave of new German immigrants. Tycoons of industry began to offer more potent whiskeys and hard liquors to the expanding urban populations. Against this backdrop, silent film was growing in popularity as a mass amusement. Not since the invention of the printing press had a technology planted so much information in the minds of everyday citizens. 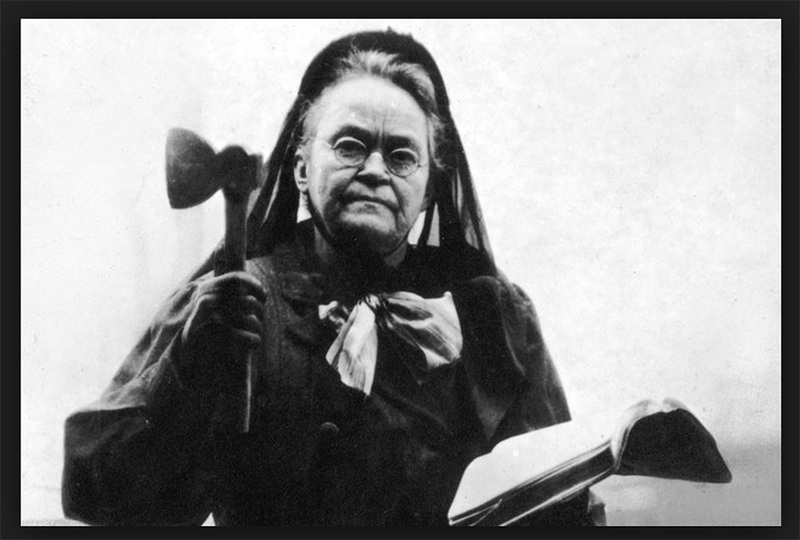 Edwin S. Porter of “The Great Train Robbery” fame took a satiric look at Carrie Nation in his 1901 film for the Edison Studio, “Kansas Saloon Smashers.” It poked fun at Carrie’s activism by having an actress reenact her famous raid on a Wichita saloon. 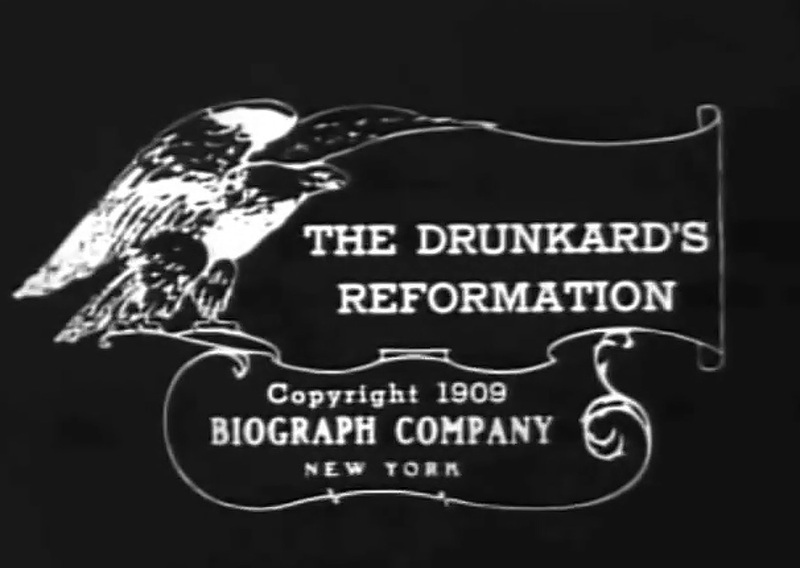 The majority of films at the time, however, offered a more somber take on the problem of drunkenness. A popular documentary imported from Great Britain titled “Manchester Band of Hope” showed an endless procession of protesters united by their stand against alcohol. A 1902 Pathé film, “Victims of Alcoholism,” became another popular attraction, as did Siegmund Lubin’s unauthorized 1903 adaptation of “Ten Nights in a Bar Room.” That title had been made famous by an 1850s best-seller. It would be remade in 1910 by the Edwin Thanhouser Company and then again in 1911 by William Selig. 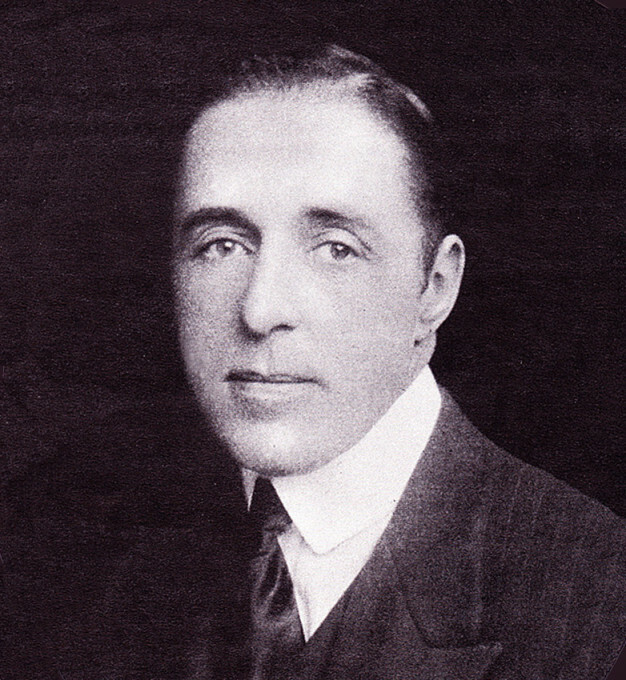 D.W. Griffith, however, was the only filmmaker to approach the subject from more than one angle. Griffith had joined Biograph while reeling from a bitter experience as a playwright. In 1907 his first full-length play, “A Fool and a Girl,” opened and closed the same week in Washington, D.C. He blamed the closure on one unduly moralistic review. Theater critic Hector Fuller took him to task for showing young unmarried men and women co-mingling in one of the trendy new “liquor salons,” drinking spirits in broad daylight and bandying about slang phrases. In Griffith’s view, that one notice ended his career as a playwright. He was still brooding over all such self-appointed defenders of “community standards” when he was hired by American Biograph in 1908 to direct its films. D.W. “Lawrence” Griffith joined the Biograph Co. in 1908 at age 33. Griffith was born in Bourbon whiskey country, Kentucky — as was Carrie Nation, by the way. But Griffith was an avowed social progressive who detested hypocrisy and small-mindedness. Perhaps taking his cue from Edwin Porter, the man who gave him his first job in movies, Griffith aimed two of his early “Mr. And Mrs. Jones” comedies for Biograph at anti-saloon activists. “Mrs. Jones Entertains” (1908) showed the respectable Mrs. Jones (Florence Lawrence) attempting to ingratiate herself with the local temperance ladies. Her hopes topple when the staid gathering is served spiked tea by mistake and they all end up making fools of themselves. The so-called “Jonesy comedies” are often cited as cinema’s first commercial serial. They established the formula for all situation comedies to come. Griffith had also been obsessed in early 1909 with his own pet project — a film honoring the 100th anniversary of the birth of his favorite American poet and writer, Edgar Allan Poe. His dramatic homage to Poe, released February 8, 1909, could not have escaped the notice of the Prohibition Party. Here were Griffith and Biograph thumbing their noses at their movement by glorifying American letters’ most notorious drunk! Whatever happened in early 1909, it prompted a change of heart in Griffith. He set out to be a more socially responsible producer of motion picture entertainment. Never again would any of his films make light of public drunkenness or the temperance cause. The ironic repercussions of Griffith’s temperance films are amusing to consider. They gave a national platform to what had long existed as a fragmented crusade confined mostly to large cities. Griffith did not subscribe to the idea of a prohibition amendment, nor to legislating morality in general. But for years afterward his temperance films played on Main Streets all across the country and were used by campaigns and fund-raisers to help fuel the American journey toward the 18th Amendment. Ironic, too, in a heartbreaking way is the fact that D.W. Griffith would face his own alcohol addiction in later years. His last attempt at a “talkie” film, “The Struggle” (1931) was a drama about alcoholism that failed to engage Prohibition-weary audiences. He passed the rest of his life out of the public eye with his bottles and the spirits of Biograph. 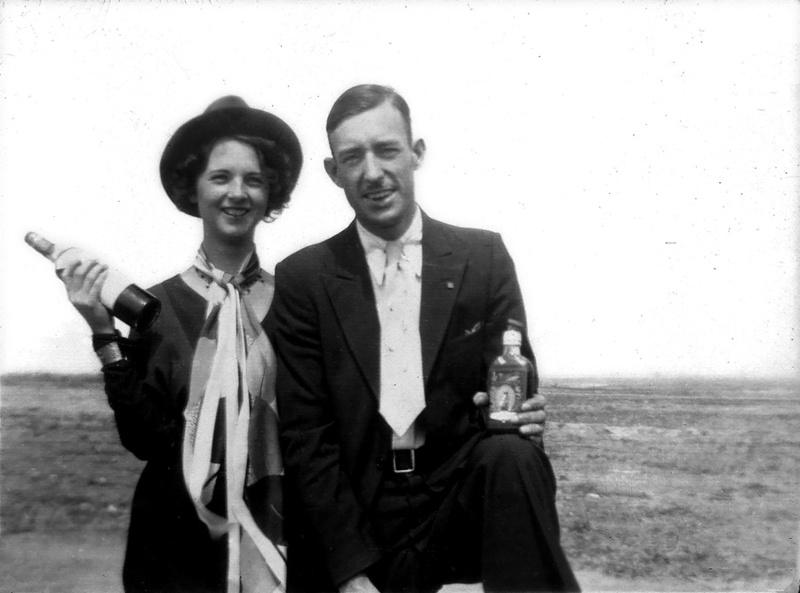 My mother and father on their wedding day in 1933, expressing the popular sentiment of the day by marking the end of Prohibition. Hey, Priscilla, thank you very much for visiting my site and leaving your comments. Let me know if there is a topic you would like me to address here. Best regards, John. Thanks, Mary. I don’t advertize or monetize this site, so it means a lot when an actual reader like you finds me. Thank you for your kind words. Feel free to suggest topics that interest you.